Are you clear about the difference between “Confidential HIV testing” and “Anonymous HIV testing?” Confidential HIV testing is not the same as anonymous HIV testing. With confidential HIV testing, a record will be created to identify who you are. 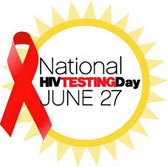 Anonymous HIV testing prevents others from knowing you have had the test or the results.—A person is normally given a type of “secret” code or number that cannot be associated with who you are. Regrettably, a number of insurance providers take the stance that even being tested for HIV indicates that you are at high risk, no matter what your own reality is. As crazy as it seems, this is how many insurance companies operate. The American government since 2006, however, has recommended all American citizens should be tested as part of their regular health care, such as an office visit. This is true, regardless of an individual’s at-risk status. In 2010, HIV rapid tests are available to the majority of Americans. Before the rapid ones were perfected, test results could take weeks to be returned. HIV rapid tests can provide a result in less than twenty minutes. If an HIV rapid test shows you test positive, then you will be tested automatically with an additional, even more precise test, to make certain you don’t have a “false positive.” This false positive response means that in an extremely small number of cases, there has been an error in the testing, making the results show up incorrectly as positive when you do not have the virus. All states offer confidential HIV testing, but almost 20 percent of them do not offer anonymous HIV testing as an additional option. If you live in Idaho, Iowa, Nevada, Mississippi, North Carolina, North Dakota, South Carolina, South Dakota, or Tennessee, you might choose to use an HIV at home test. There is only one HIV at home test approved by the Food and Drug Administration at the present time–the Home Access HIV-1 Test System, available as an over-the-counter article at most drug stores The FDA approval indicates the Home Access HIV-1, has a proven accuracy that cannot be provided by other home test kits that are available over the Internet. With this at home “kit,” you will be shown how to collect a small sample of your own blood. You will then mail the sample to a designated clinical lab. In 72 hours, you can contact a phone number provided by the kit, to call in for the results, using the anonymous code which keeps your identity a secret.